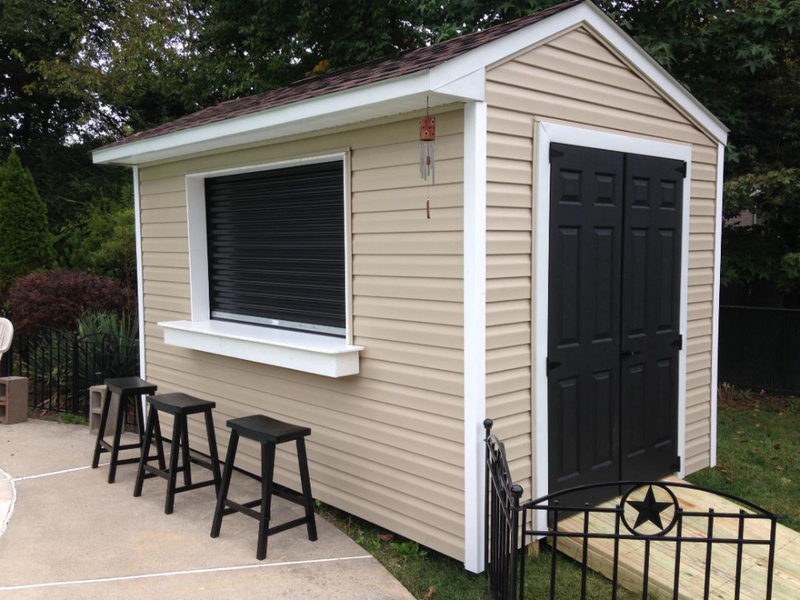 Convert any of our shed styles into a pool house,backyard bar, or a concession stand. We use a TracRite® roll up door and an Azek® or granite bar top. 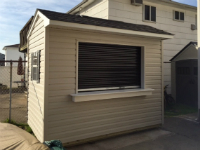 The roll up door and bar top come in different sizes depending on how many people you would like to accommodate. 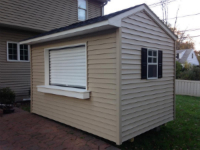 When you are not entertaining, this can be used as a storage shed. Call us today for a quote.